James F. “Fil” Cook of Bremen passed away Tuesday, September 25, 2018 in an Atlanta hospital. He was born in Whitesburg, April 14, 1932, son of the late James W. Cook and Vassie Ruth Sprayberry Cook Redding. 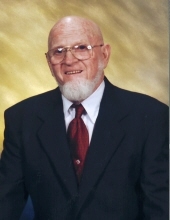 Mr. Cook was a retired self-employed welder, a U. S. Navy veteran, having served in the Korean Conflict and a member of the District Line United Methodist Church. In addition to his parents, he was preceded in death by a sister, Linda Thomas and a brother, J. C. Hayes. Survivors include his wife, Betty Jo Shelton Cook, Bremen; children, Phyllis and Michael Burton, Humble, Texas, David and Yvonne Green of Long Wood Florida; Jimmy Green of Venice Florida, Carla and David Cain of Milton, Florida, Debra and Hugh Bass of Carrollton and Charles Steve Dodson of Bremen and seventeen grandchildren. The family will receive friends at the funeral home Thursday from 4:00 until 7:00 PM. Services will be Friday, September 28 at 2:00 PM from the chapel of Hightower Funeral Home with Reverend Wesley Forrister officiating. Music will be furnished by Harold McWhorter. Bo Bass, John Bass, Thomas Bass, Steve Dodson, Tim Hayes and Bobby Gilliland will serve as pallbearers. Interment will follow in Carrollton City Cemetery with Reverend Michael Williams officiating. To plant a tree in memory of James Filmore "FIL" Cook, please visit our Tribute Store. "Email Address" would like to share the life celebration of James Filmore "FIL" Cook. Click on the "link" to go to share a favorite memory or leave a condolence message for the family.